I think I'm a victim of fraud/ being scammed. So last Thursday, Feb. 7 2019. I had an interview for a company called**edited for Community Guidelines**, but it looks like it got suspended. Now they have one account under the name of **edited for Community Guidelines**, but they both have the same boss name **edited for Community Guidelines**. So I went through the interview and go the job. Later on, he ask for my email and he sends a check. I send the check through my bank. After I put the check in my account, my bank puts a deposit hold on it, since the check was 2500. The next day I tell him this and he then to go and say I need to use my personal funds and I'll be reimbursed. So he then asked for a 500 amazon gift card to buy all the softwares. So me being stupid, I got one. Then he said it's not enough so he had to use his own money to give to the vendor. Then asked if could get 200/300 it will make process faster to start training. So, I am waiting till the check is clear. Can somebody help me please. I don't want the check to bounce then I lose money. Does this seem familiar to anybody? The job is fake and check is fake.You have been scammed. It is an age old fake check scam. You need to report it . It's SO obvious that you jumped right in here and never bothered to find out anything about how to use this site correctly and what the procedures are and the scams that happen here. I STRONGLY advise you NOT to submit any proposals, or reply to any invitations until you educate yourself. Just about every scam known you have fell for just one that one job. The check will never clear. it's fake. You will have to reimbursed the bank for the money you took out. And whatever amount you ended up paying for all those gift cards, programs and laptops is gone. - learn by reading the instructions first. I generally think IT IS OKAY to learn by doing, as long as one is willing to accept the consequences, and that includes losing some money. 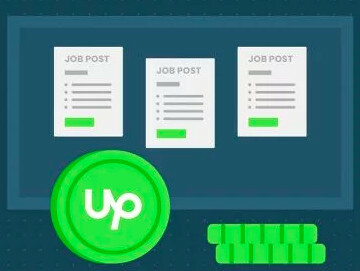 The downside of this, however, is that when freelancers learn by doing, and end up sending money to scammers, it drags the whole Upwork platform down. It means that scammers are more active on the site. So even if it is okay with the original poster that he lost money, it has a negative impact on the rest of us. Which is why I would like to see freelancers who do this kind of thing suspended from bidding on jobs for 3 to 6 months. In order to give them time to further study how the platform works. re: "Can somebody help me please." Niajhe: The most important tip I could offer you is to decide right now that you will NOT try to get any of your money back from this incident. If you want to succeed on this platform, you need to start there: You will never try to recover any of the money you lost on this scam. After that, the next most important thing for you to do is to learn all the things that you did wrong, so that you will not make the same mistakes again. 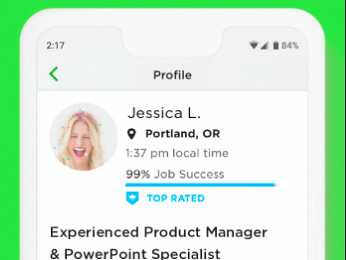 Read Upwork Help section articles. Read in the Forum. Do searches in the Forum. Ask questions if you can't figure things out. 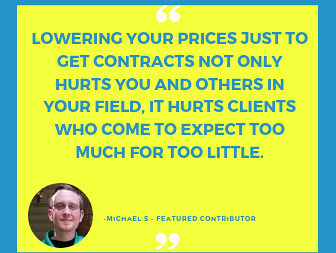 Until you figure out what you, as a freelancer, did wrong in this situation, you will not be able to succeed on Upwork. I just want to say sorry to the Upwork community for not doing my research and being so naive. I jump the gun when I shouldn’t have. Just too many things I shouldn’t have done and I just need to step back from this platform till I fully learn what I’ve done. I learned this the hard way, I won’t try to attempt in getting my money back since I violated Upwork policy and just learn from this dumb mistake. Thank you to everyone who responded quick and telling the truth without sugar coding anything. There is no reason in this world to roll over and let the scammer get away that easily. There was one guy a few months back who did get his money back from Amazon, so do that, and also talk to your bank, there might be some way of recourse. In that case the guy only was charged fees that Amazon cancelled. He did not buy something for it. I'm sorry to learn about your experience. I would recommend that you read up on these freelancer resources and these tips for avoiding questionable jobs, for help getting started, and for more information about working safely through Upwork. Please also know that actions have been taken against the client's account for violating the Upwork Terms of Service.